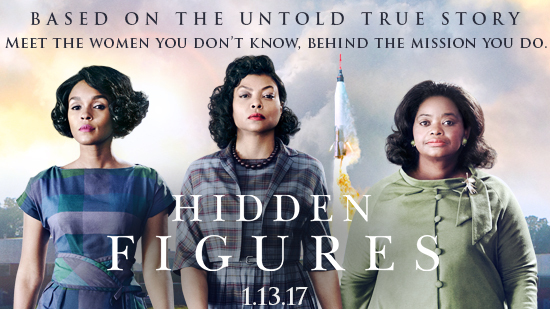 Hidden Figures, a period movie about three black female mathematicians, is not the kind of movie Hollywood looks to for lavish box-office returns. Yet the modestly budgeted $25-million drama has shot past $100 million and is the best word-of-mouth title (judged by audience retention) at the multiplex — the movie has left audiences in tears, and Hollywood scrambling to explain its success. Perhaps the best explanation comes from Margot Lee Shetterly, who wrote the book on which the nonfiction movie is based. Part of the reason: It was classified. The women worked on top-secret projects. The United States was in a space race with the Soviet Union, and intelligence services (even after the Cold War) kept a tight lid on the work at the Virginia facility where Katherine Johnson (Henson), Mary Jackson (Monae), and Dorothy Vaughan (Spencer) worked as human “computers,” making complex mathematical calculations necessary to blast a rocket into space (and, as we see, ensure the safe return of astronauts like John Glenn). In a quiet way, Hidden Figures conflates the space race with another ambitious national project: civil rights. The imperative of besting the Soviets has a NASA manager (Kevin Costner) looking for the best person for the job, so standout “computer” Johnson is chosen for the most formidable mathematical tasks, even as she is relegated to a segregated restroom and coffee pot. Her persistence, and her excellence, cause those obstacles to fall away (Vaughan and Jackson have similar story arcs), to be exposed as irrational and counterproductive. Hidden Figures is astory of diversity wrapped in a classic American narrative of striving, augmented with touches of faith and family that add to its widespread appeal. Something else struck Melfi about the women (he met and interviewed Johnson, as did Henson). There was something self-effacing about her — she deflected praise, turned it instead to her coworkers, and talked endlessly about “the team” at NASA. “I don’t want this movie to be about me,” she insisted. Audience response indicates he did. Hollywood thinks so, too: the movie won the SAG award forbest ensemble cast (its equivalent of best picture), and is nominated for an Oscar, as is Octavia Spencer. More rewarding for Melfi and company: the response from young people.